Club Recognition Level - The Club Recognition Program is a voluntary program to recognize clubs that demonstrate a commitment to long term club growth, development and stability. Clubs must meet markers measuring business and organizational success, parent and volunteer development, coach development and education, and athlete development and performance. Club's are ranked Level 1 through Level 4. 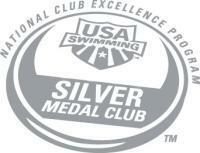 Club Excellence Level - The Club Excellence Program is a voluntary program that identifies and recognizes clubs for their excellence in athlete performance. The program annually recognizes up to 200 outstanding clubs and provides monetary grants to those who qualify as Gold Medal or Silver Medal clubs. The main distinction between the Club Recognition Program and the Gold, Silver and Bronze Club Excellence levels is the performance achievements of the athletes. Send any additions or updates to the Webmaster.